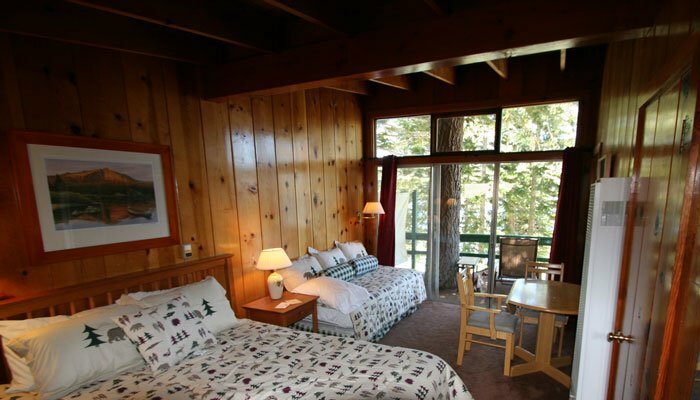 The 8 hotel rooms offered at the Lodge all have an outdoor deck that overlooks Silver Lake. 5 rooms have a queen bed, 2 have a queen and a twin bed, 1 has two twin beds. All rooms have private baths with showers. Children under 10 years old are not allowed in the hotel rooms due to the ability of sound to travel between the units. 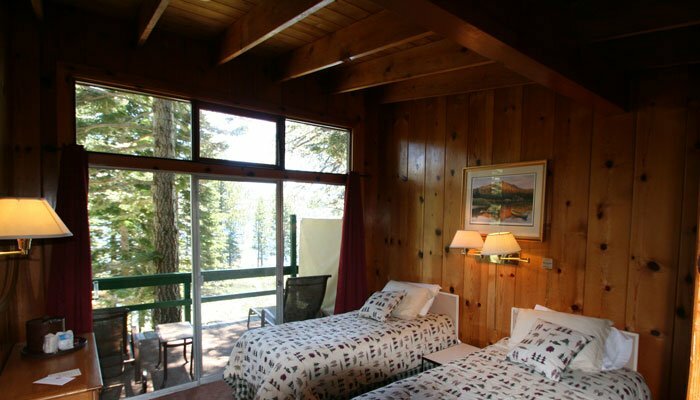 All of the cabins and hotel rooms were built on steep terrain and or have steps up into the units. If you have any specific requirements please call our reservation number to let us know how we can help.